When talking about such web designs that should compliment the various dimensions of different devices, it is difficult not to mention about the challenges that web designers face while creating them. CSS3 media queries are a great way to overcome such challenges and making web designs look amazing, while providing a pleasurable experience to each type of user. As a part of CSS3 specification, these media queries determine the role of the media and control how styling should be applied to them. They allow web designers target different styles based on multiple specifications of a device such as screen size, orientation, color and so on. This article provides you an overview of media queries that will help designers kick start their multi screen website development endeavors. CSS 2.1 supports several media types based on “media type” declarations. The following mark up clearly explains about how media types can be used to specify conditional style sheets. When placed correctly, the site will load a different stylesheet from the default sheet, when set in a print preview mode. The feature is useful but often remain underutilized because of its incapability to provide valuable contextual clues for developing a responsive website. As only 10 media types are being used by the media specifications, browsers often fail to adapt complete media specifications. The “media” attribute plays a significant role in determining various media related element of a web page. It helps you specify media type on the basis of screen, print and more and also let you incorporate various expressions that include width, height, orientation, screen resolution etc., of the device being used. Here, we are giving you an example of a device that’s media type is screen and resolution is 720 pixels. It’s the media query that determines the overall designing process. The left side highlights those properties of a design that needs to be tested, and gives an option ranging from min-max. The right is the actual value of the tested property. If the browser and the mobile having 720 pixels of screen width, the style.css will be implemented by the webmasters. This way, it can be said that media queries an indeed useful to give developers an insight about the context to develop web pages that are truly responsive. In the above example, we have stated that for width media query, abc.css style sheet needs to be used. To boost the productivity, it is recommended to incorporate multiple style sheets created for different browsers and screen into a common one. Here’s how you can go through it. You must have noticed the use of max-width in the above and min-width on the below examples. It is important to know the difference between the two. In the case of desktop, it is easy to understand. Min-width and max-width refer to the size of the browser viewport, while max-device-width and min-device-width are applied for hand held devices. 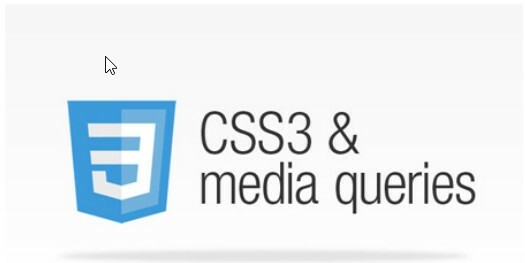 CSS3 media queries are the heart of a responsive web design, therefore, should be used logically. It’s about presenting an information that meets the demands of both web browsers and hand held devices. What’s your Opinion about CSS media queries? If you have anything to say, please share your opinion in the comments section. Your opinion matters, unless it is a Spam. 61 queries in 0.371 seconds.